Ah, school supply shopping! It's our favorite time of the year, when stores are stocked with matching notepads, pencils, binders, and desk accessories. We get all tingly just thinking about it! Of course, school supply shopping is a thing of the past for us (and probably for some of our lovely readers), so we just refer to it as "office supply shopping" and it's exactly the same thing! Minus the Lisa Frank trapper keeper, of course. Start your school year right -- stay organized with an academic planner! Keep track of exams, due dates, after school activities, meetings, and your social calendar in a cute, organized day planner. We love this academic planner from Staples, as it has both a monthly and weekly calendar, which allows you to make both short term and long term plans! It also comes in a number of different styles to reflect your own personal tastes. One of the best study techniques is making index cards! Of course this is a very time consuming task, and the absolute worst thing is when, after spending hours making hundreds of note cards, a bunch of them go missing! Now you can keep all your precious definitions in tact, and in order, with this adorable ringed note card jotter by etsy seller CrownBindery. The note card binders come in 5 numbered sets, each with their own unique pattern and 100 note cards apiece. It's a perfect way to stay organized! We tend to save everything, from bills and receipts to old letters and correspondence. So to keep your life in order, invest in a file cabinet! Filing cabinets definitely seem retro, since pretty much everything is electronic. But trust us, the paperwork tends to file up, so keep organized with these pretty screen printed file folders by etsy seller paulehewlett! Not only does it look pretty, you can also organize by color / flower type! Now your taxes can be known as the pink blossoms! Tres cute. This Five Star 3-ring binder may not seem spectacular, but we assure you, it is. 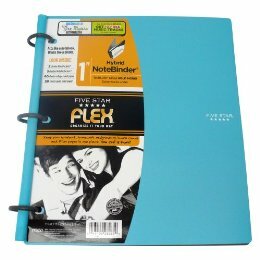 It's essentially the love child of a notebook and binder, resulting in a reusable, bendable, and practical "notebinder." 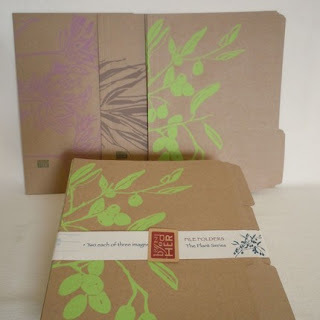 Like a binder, you add in the loose leaf paper of your choice (yea college rule! ), and like a notebook, you can fold it back for easy writing and maximize desk space. Because you can fit 5 subjects in this, you're pretty much set for the rest of your academic life. You're welcome. 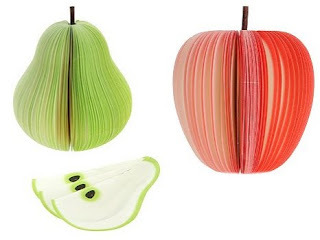 Sticky notes document our life, so we love to find different styles to help spice things up. Take this peacock sticky notepad, for example. 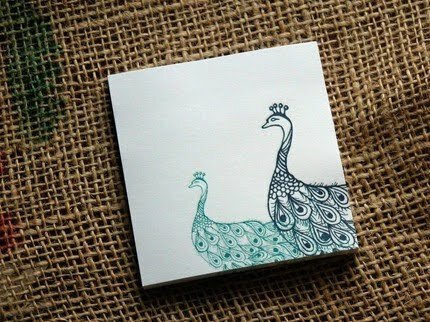 The twin peacock print designed by etsy seller Michelle Brusegaard is a nice change of pace from the boring yellow post-it, and will make your notes stand out from the crowd. 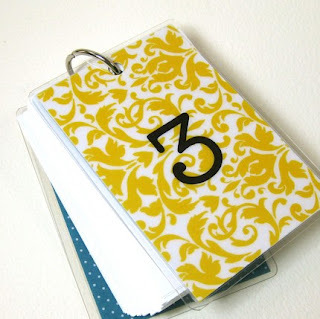 If you're an iphone junky, then you'll love this iphone sticky pad by violetgiftshop. 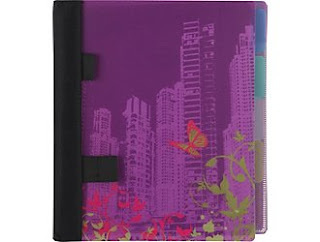 It has plenty of room to jot down your important reminders, or just to use as a sketch pad. And unlike the real iphone, this notepad is perfectly functional even if you hold it from the side. Yippee! We go through sticky notes like you would not believe, so it's always a good idea to have a lot on hand. For another take on the traditional post-it, check out these cute fruit slices memos. 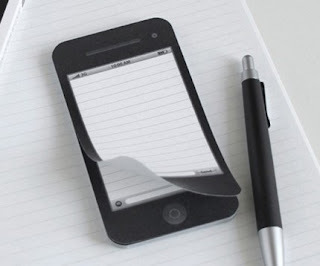 They can serve as a desk decoration and a functional note taking piece at the same time! 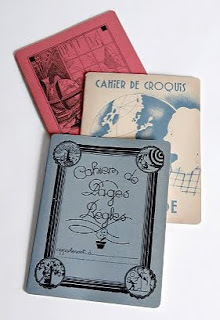 These French notebooks are certainly more interesting than your typical spiral bound or composition notebook. They have a charming antique quality and are sure to be a great conversation piece, if nothing else. 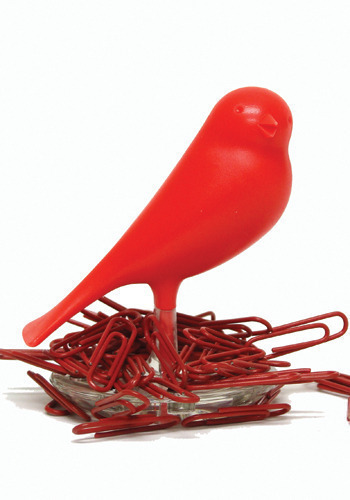 Bored of the usual square, black, paper clip holders, then check out this adorable bird holder. The paper clips all jumble together to create a nice "nest" sort of look and keeps the paper clips easily within reach.